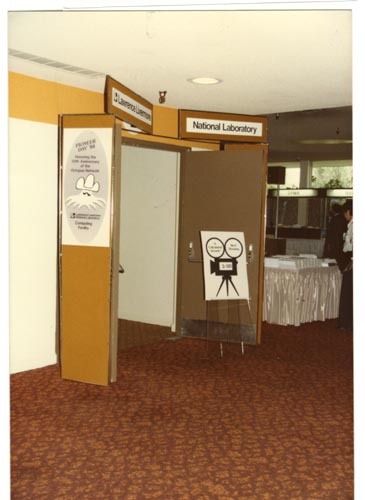 Color image of the Lawrence Livermore National Laboratory exhibit entrance at the 1984 National Computer Conference. adversising a moovie at 3:00. Above the door is a sign "Lawrence Livermore National Laboratory".